Hello! I’m an AI engineer and entreprenuer interested in building remarkably useful products in robotics, online learning, and healthcare using Machine Learning. Previously, I founded a voice assistant company called Joyride (acquired by Google) and an apps company called CLZ (acquired by Zynga). See below for my current projects! A computer that can generate graphics in a desired style from text captions is very powerful and its applications in marketing, advertising, and gaming are incredibly useful. We present a Generative Styled Network (GSN), which is capable of taking as input a text caption and some style images, and then proceed to produce an image on a white background that matches both the text description and the style desired. We trained a question-answering model for Wikipedia, using the Stanford Question Answering Dataset. We achieved state-of-the-art F1 score of 75.8% on the test set. We demonstrate that the model generalizes at 68-90% correct using our hand-crafted datasets in 3 other types of text: Top News, Financial News, and Corporate Annual Report. Code available upon request. 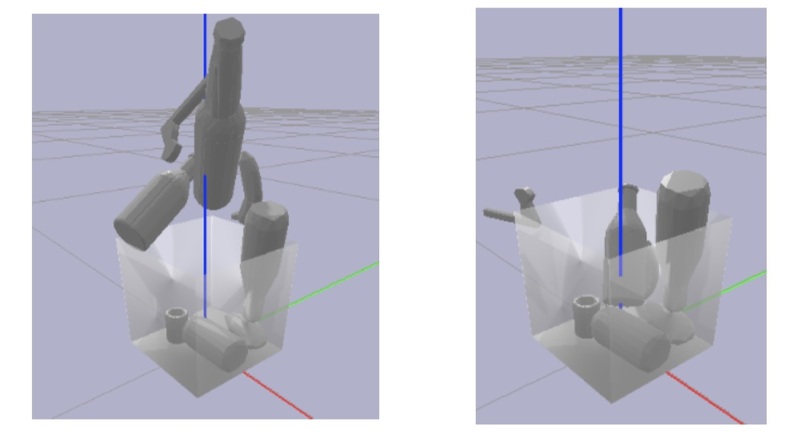 We use reinforcement learning to solve the challenge of a robot picking items from a deep bin. This task is challenging, as lifting one item may cause other items to be unintentially lifted as well. We show that Pybullet and Dex-Net can be used to create the simulation environment for this task and Q-learning significantly outperforms random and greedy algorithms. Image segmentation is critical for the camera system in self driving cars as it informs the car of object boundaries for precise navigation. We present image cropping as a method to speed up training in a Fully Convolutional Network and compare against softmax regression and maximum likelihood methods using the Cityscape dataset.